Dental implants are small titanium posts that replace the roots of missing teeth (Dental Implant Image). They are inserted into your jawbone during a minor surgical procedure that takes place in the dental office. After the implant has been placed in your jawbone, a completely lifelike porcelain tooth crown is attached. In some cases, the implant needs to fuse with the bone for several months before it is permanently crowned at our dental office in Scottsdale, AZ. In other cases, you can have new (but temporary) teeth the same day your implants are placed. 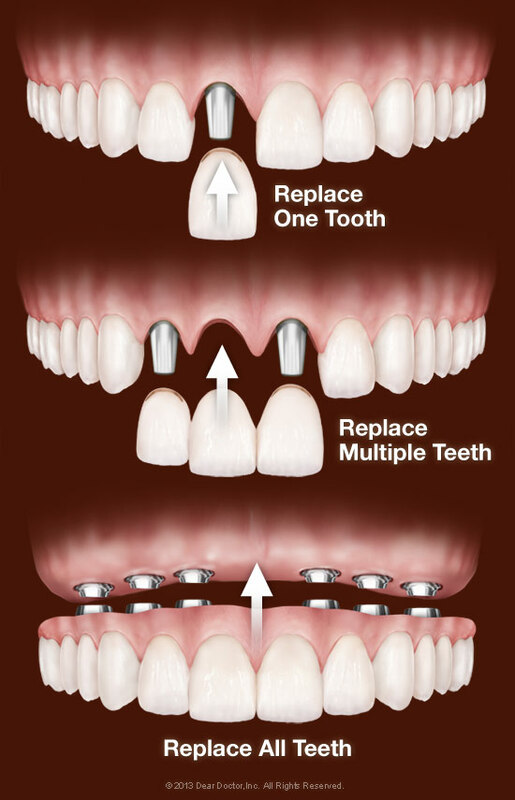 You can replace a single tooth, multiple teeth or all your teeth with implants (Implant Treatment Options). You don’t even need one implant for every missing tooth. As few as two Implants can support a removable lower denture, while as few as four implants can provide a full, permanent set of top or bottom teeth. At the outset, implants are more expensive than other tooth-replacement methods and cosmetic dentistry procedures such as dentures or bridgework. But they also last many years longer and in fact should never need replacement. So they offer the best, most cost-effective option when viewed as a long-term investment in your health, comfort and well-being. 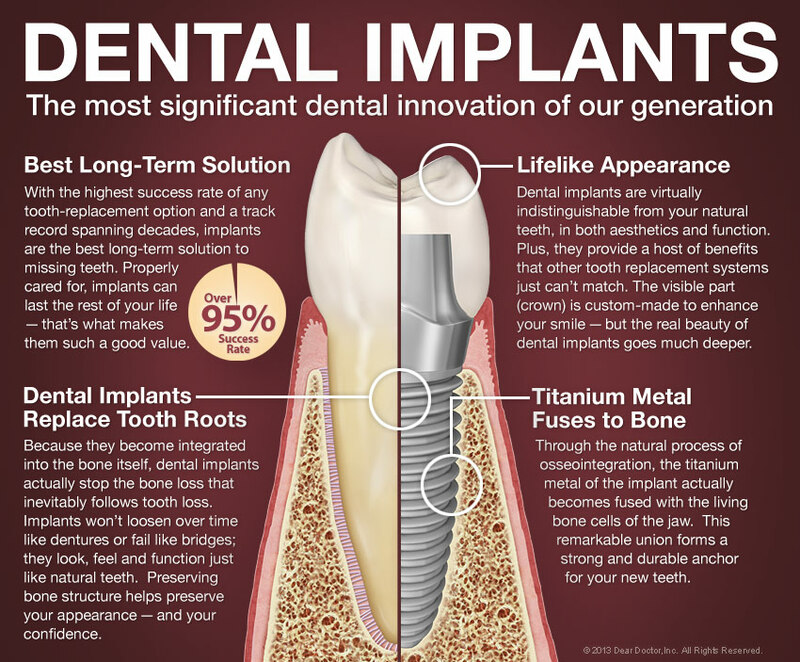 For more information on Dental Implants, call Waterfront Dentistry LLC in Scottsdale, AZ at (480) 949-7900!